interact with farm animals, and play! Full and partial scholarships are available. For more information, please contact Andrea Coen: andrea@guidestonecolorado.org or 719-239-0955. Join us every Monday at the Hutchinson Homestead to explore the daily lives of ranchers from both the past and present. We will begin each Monday with ranch chores and caring for the resident animals, and then we’ll kick off the theme for the week with hands-on activities and adventures! Guest instructors who are experts in their fields will be present at many of these Mondays. This program is currently full. Please contact andrea@guidestonecolorado.org to have your child’s name added to the wait list. Spend Tuesdays at the Longfellow garden throughout the summer helping to grow your school garden! Join us for individual days or the whole series – each week will feature new opportunities to learn and grow through hands-on experiential garden based activities, games, songs, stories, and fun with friends! 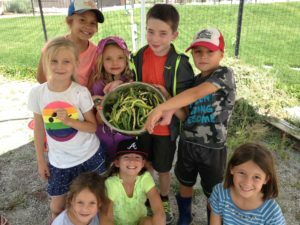 Spend Thursdays at the Salida Middle School garden throughout the summer helping to grow your school garden! Join us for individual days or the whole series – each week will feature new opportunities to learn and practice specific techniques around high-altitude gardening. Become a Preservationist! Do you like archeology, architecture, construction, mapping and history? Then this camp’s for you! During this camp, we’ll dig into what it takes to preserve historic buildings, learn more about what preservationists did here at the Hutchinson Homestead, practice some of the techniques, and gain a new understanding of the value of preservation. Explore the Homestead and it’s building from a whole new perspective! Today’s kids are tomorrow’s farmers & ranchers! Get up close and personal as we spend three days studying the animals that are raised on a farm or ranch: beef and dairy cattle as well as other meat, milk, egg or yarn producers like goats, sheep, llamas, rabbits and pigs. 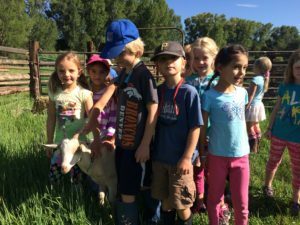 We’ll learn about the care, feeding, and different varieties of these animals, and the agricultural role they play, through people who raise and care for them: ranchers, veterinarians and more. Many of the guest instructors will be kids who are already raising animals through the 4H Program! 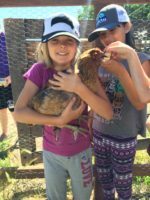 If you love farm and ranch animals, this camp is for you! 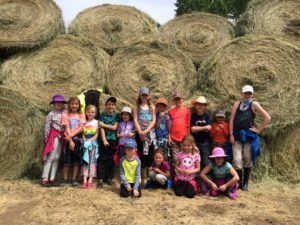 Become a Junior Rancher! Have you participated in Hutchinson Homestead programs before and are ready for something more? Join us for three days going more in depth into rancher skills and tasks. As we practice important ranch skills like roping, irrigating, and pasture management, we’ll help make the tools we’d need for the trade, help Rancher Abby complete a ranch project, learn how to care for cows and horses and more. At the end of camp, we’ll celebrate with a square dance for campers and their families. Join us for 3 days of fun learning about agriculture at the heart of the Chaffee County Fair! 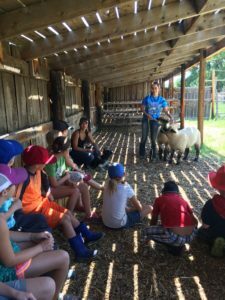 We will meet at the Fairgrounds each day, and learn about the sheep, goats, beef cattle, pigs, rabbits, and poultry that are being shown at the fair, as well as some of the hands-on activities highlighted through 4H. Be a part of the County Fair in a whole new way! 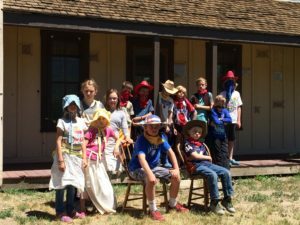 Step into the past and experience the homestead as a pioneer! Pioneers had to be resourceful and hand-make many of the things they needed for daily life. Leatherwork, sewing, food preservation, needs for the home, tools and even toys and games had to be made by hand. Join us in this hands-on experience of life in the past. As we step into the footsteps of the many people who have lived and worked at the Hutchinson Homestead, we’ll imagine life on a homestead with the eyes and ears of many different perspectives, sharing our experiences in a homemade journal. Experience history on a ranch in a whole new way!